Swirly-Swirl Table Runner - Kit Includes pattern! Local Designers > Swirly-Swirl Table Runner - Kit Includes pattern! 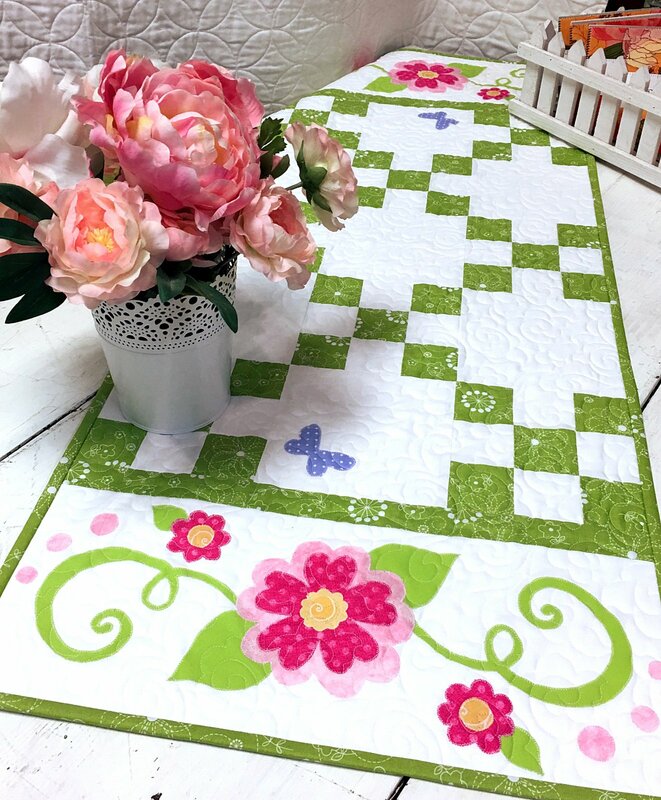 This delightful table runner combines the classic Irish Chain block with a beautiful applique border on each end. Kit includes pattern and all fabric to make the top and binding. Fabrics are exactly like the photo. This kit will add a touch of springtime to your table! Finishes at 18.5" x 46"